Supports the protection of cells against oxidative stress using the power of dark fruits. Contains precious wheat germ oil for a smooth, delicious taste. Warms and pampers with a hint of cinnamon and rose hip. Just one glass (0.2L) of each of the bioC products meets the daily vitamin C* requirement. Only certified organic ingredients are used for our bioC range. The best whole fruit ingredients in their ideal natural composition. for the power within us. We want to enjoy our lives by being full of energy and naturally healthy. Every glass of Voelkel’s bioC fruit juice contributes to this, since as little as 0.2L provides all the vitamin C* to meet our daily requirement. 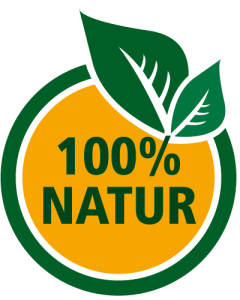 Only natural ingredients and no artificial additives – Voelkel’s bioC juices contain the best for us and our families. The delicious organic multi-fruit juices as well as the Abwehrpunsch are a soothing and healthy treat for young and old, especially in autumn and winter. * Based on the consumption of 0.2L, which meets 100% of an adult’s daily vitamin C requirement or 30% of an adult’s daily iron requirement. ¹ Vitamin C helps to protect cells against oxidative stress. ² Vitamins C and A both contribute to a normally functioning immune system. ³ Vitamin C increases the body’s absorption of iron. Iron contributes to the normal formation of red blood cells and haemoglobin. 4 Iron contributes to normal cognitive development in children. A varied, balanced diet and a healthy lifestyle are important for your well-being.